Gary Ingram Grading and Paving is fully equipped to move rock, dirt and soil quickly and efficiently. Whether working on a simple or complex project, our entire crew goes beyond expectations to ensure customer’s satisfaction. Gary Ingram Grading and Paving provides curb & gutter throughout the state of Alabama on most of its projects. We can custom build or modify molds for special project needs. The ability to combine curb and gutter with sub grade prep, stabilization, base, sidewalk, asphalt paving allows for a seamless construction process and single point responsibility. Gary Ingram Grading and Paving operates its own fleet of heavy trucks for timely delivery of aggregates as may be required by a project or as a stand-alone operation. The fleet includes triaxle, and dump trailer trucks. We can supply and deliver any aggregate product available including washed gravels, crushed stone bases, over-sized materials and rip rap. Let us put our trucks on the road for your next project. Gary Ingram Grading and Paving is capable of installing water, sanitary, storm sewer, under-drain, and underground detention systems. Our experienced teams consist of knowledgeable personnel who are capable of providing utility services for projects ranging from small commercial to large municipal infrastructure. Utility installations create some of the most hazardous site conditions in the Construction Industry. This is why our utility crew members are heavily trained. They are competent in Confined Space Entry, Trenching/Excavation and Shoring, Picking and Rigging, Asbestos and Silica Awareness, and General Construction Safety. Our utility crews have a proven track record of safety that will help keep your job site in compliance. Gary Ingram Grading and Paving provides asphalt milling services throughout the State of Alabama on most of its projects. The process of asphalt milling may look easy but in truth it takes proper training and well maintained equipment to do it properly. Customers and agencies choose asphalt milling for several reasons. Asphalt milling may be performed to ensure proper drainage by removing irregularities in the existing pavement. In most cases, however, asphalt milling is performed at prescribed depths to economically remove the old, cracked and worn pavement and therefore provide room for a new pavement surface. This process prevents an increase in the existing pavement elevations. An increase in elevation could result in the adjustment of curbs and structures. Preventing this provides cost savings to the customer. Additionally all materials are properly transported to approved recycling facilities where a percentage of it is used in the manufacture of new asphalt. With access to a fleet of milling machines we are able to accomplish whatever specific milling task is required. Our machines range from 7 foot wide cuts down to 2 foot cuts. 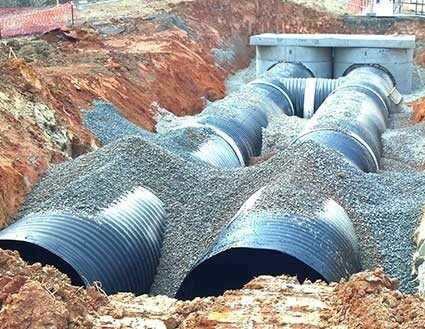 Depths can vary from 1 inch to 12 inches based on site requirements and the project specifications. Gary Ingram Grading and Paving is among the leading asphalt paving contractors in Alabama. Decades of experience, professional quality control technicians, and three high capacity hot mix asphalt plants make us the contractor of choice for a variety of projects. Our longevity in the industry means our service offerings have evolved and improved largely over the years as we’ve developed asphalt innovations which continue to redefine the industry. If you need asphalt paving – however large or small the job – we have the experience, materials, equipment and expertise necessary to get the job done right the first time. We specialize in paving the following types of projects: Highway/Interstate, Municipal Road, New Development, Parking Lots, Trails and more. In addition to asphalt paving, Gary Ingram Grading and Paving offers ongoing maintenance to asphalt surfaces. Asphalt maintenance is incredibly important in ensuring the longevity of a surface. Neglect, resulting in water and chemical penetration, produces surface cracks, holes and damage to the sub-grade. Below are some of the asphalt services we offer throughout the State of Alabama. When an asphalt surface begins to crack, chemicals and water infiltrate the material which can result in additional deterioration of the asphalt pavement. Many asphalt surfaces form cracks with age of varying sizes. The smaller cracks can be treated easily with crack repair services. This maintenance option simply helps owners buy time between costly asphalt replacement projects. Resurfacing is an alternative to removing and replacing a section of asphalt. Often, this maintenance option is a less costly alternative to repaving that same section. A Gary Ingram Grading and Paving professional can help you determine, based on the current condition of the pavement, whether resurfacing or replacing a section of asphalt would be more economical. Much of this decision is based on whether the sub-grade and asphalt layers are still largely intact. Placing a liquid emulsion, or “sealant,” over an asphalt base helps seal and protect the surface of your asphalt project. This seal coating helps reduce potential wear and tear from chemicals and water that would otherwise be absorbed into the asphalt’s surface. Approximately 11 million tons of shingles are land-filled each year. Gary Ingram Grading and Paving has diverted thousands of tons of asphalt shingles from the waste stream and helped put them to recycled use. By reclaiming the formerly wasted asphalt-cement contained in these shingles, we can reduce the asphalt cement costs, improve the quality of their product, and help reduce our nations dependency on foreign sources of oil. The composition of shingles makes them an especially appropriate material for use in asphalt pavements. Shingles are typically composed of 25 to 30 percent asphalt cement, 40 to 60 percent hard aggregate contained on the 30 and 60 sieves and 3 to 12 percent fiber. All of these ingredients are routinely used in hot mix asphalt (HMA) pavements. Our knowledge, experience and customized equipment have helped make us one of the leading RAS providers in the State of Alabama. 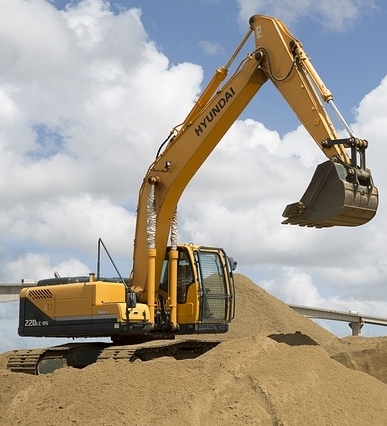 Recycling excavated asphalt on construction sites, or at designated stockpiles, producing a “RAP” or sub base product. 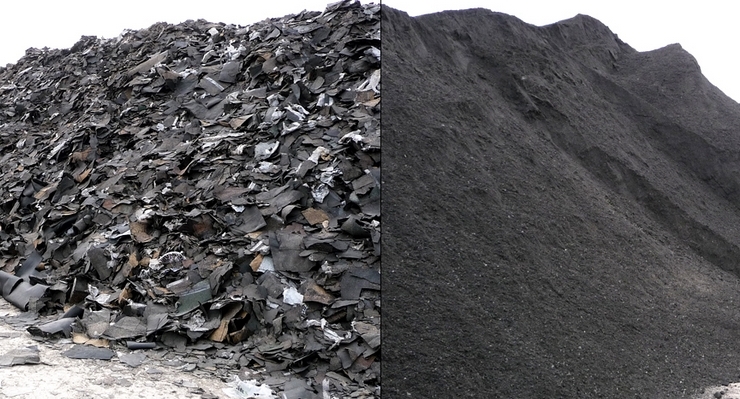 We also recycle waste asphalt at manufacturing plants, for reuse as “RAP.” We recycle millings, as well as excavated or waste products from asphalt plants, and producing “specific sizes” of “RAP” products, for reuse, at higher percentages in the asphalt mixes, and with greater quality control. We also offer recycling on full-depth asphalt roadways and / or shoulders, converting the excavation into “specific sizes” of “RAP” products, handling the material only once for reuse in high quality asphalt mixes.